Clark’s Market in Aspen plans to sell full-strength beer starting Tuesday despite ongoing litigation by a neighboring liquor store attempting to block the competition. 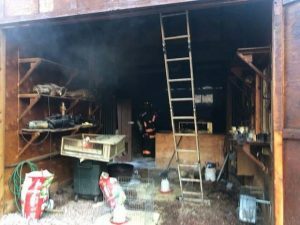 “We will proceed forward with it,” said David Clark, store director of Clark’s in Aspen. On Wednesday, plaintiff Aspen Wine & Spirits filed its opening brief as part of arguments a judge will review to decide on whether Clark’s can continue selling beer. “This is the kind of proceeding that will all be done on paper,” said Boulder attorney Josh Marks, who is representing the city of Aspen, the Aspen Local Licensing Authority and Clark’s Market in their defense. The written arguments come after Aspen Wine & Spirits filed a lawsuit Sept. 4 in Pitkin County District Court asking a judge to vacate the LLA’s decision allowing Clark’s Market to sell lower-strength beer with 3.2 percent alcohol content by weight. The plaintiff amended its complaint in October by adding Clark’s as a defendant. Clark’s obtained the license, which the LLA approved in a 4-1 vote Aug. 7, in anticipation of a new Colorado law that permits existing grocers and convenience stores to sell beer with the same strength offered by liquor stores. Prior to then, supermarkets and other non-liquor stores can only sell 3.2 beer. Last week’s brief contends that Clark’s “should not be allowed to sell full-strength beer after January 1, 2019,” and that it needs the City Council’s blessing to convert its license from 3.2 beer to full-powered beer. That policy, lawyer Richard Neiley Jr. contended, undermines previous Colorado Supreme Court decisions that preclude governmental entities from using blanket policies when they issue or reject liquor licenses. Even though Clark’s submitted a petition of signatures to the city in support of it selling beer, the petitions didn’t fully address why the supermarket should have a liquor license, and many of its names were incomplete and without complete addresses, Neiley Jr. argued in the brief. Clark’s has sold beer before, but stopped in 2011 in response to the state’s decision to lift its blue laws and allow liquor stores to be open on Sundays. That gave the liquor stores an advantage over supermarkets and convenience stores, which could only sell 3.2 beer. At an October LLA meeting, City Attorney Jim True told board members he felt confident Clark’s will prevail in the litigation. “We believe that the authority here acted properly and we will defend that decision,” he said at the time. Clark’s Market and Aspen Wine & Spirits are part of the same shopping complex at North Mill and Puppy Smith streets and are separated by roughly 30 feet, so the new law’s regulation that just-opened grocers and convenience stores must be at least 500 feet from an existing liquor store in order to sell full-strength beer does not apply to the current litigation. City Market in Aspen, which is located in the immediate vicinity as the Grog Shop, sells 3.2 beer and will be eligible to sell the full-strength version in January. 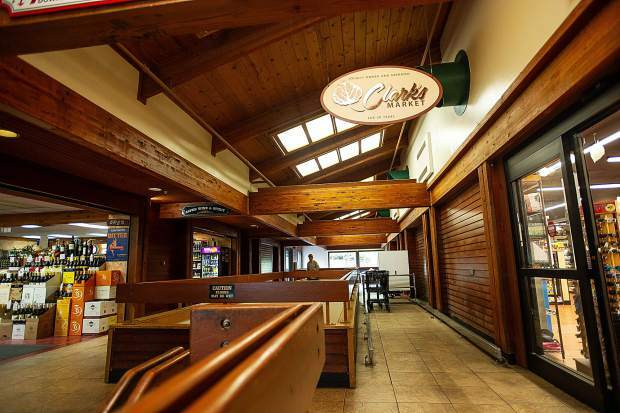 Clark’s Market in Snowmass Village currently does not sell beer.